Arthur Wooten, the bestselling author of Birthday Pie, On Picking Fruit and Fruit Cocktail, has produced yet another instant classic. 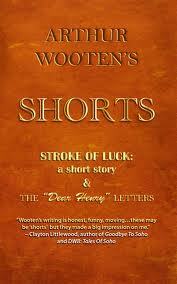 Arthur Wooten's Shorts is a delightful book that includes a short story, Stroke of Luck, and the famous Dear Henry Letters from his tenure with London based reFRESH magazine. Arthur is one of those writers whose next release I always await with zeal, so when he asked me to give this new gem a pre-release read, I couldn't contain my enthusiasm. Stroke of Luck is the tale of celebrity chef Chip Lowell. Chip is utterly confident with himself, not to mention sought after because of his looks as well as his talent. He's on the brink of unveiling a new TV cooking show when a life changing event causes him to do some introspective work... which includes giving scrutiny to every detail in his life, and every person therein as well. The Dear Henry Letters are the culmination of Arthur's two year writing stint for reFRESH. Inside their text you will find a delightful mixture of emotions and side splitting humor as he writes to a fictional lover, Henry, about just why they need to part company. And while parting may be such sweet sorrow, you won't want this one to end. Arthur Wooten's Shorts, inside and out, is a dynamic entry in this multi talented scribe's bibliography of hits. An immediate success, readers won't be disappointed in the least and Mr. Wooten's ever growing fan base is in for a treat. It's that good. One of the most rewarding aspects of being a writer, for me, remains the opportunities it affords me to meet other writers. Whenever I meet someone with a talent that I find genuine, I feel that I must find out more about the person. 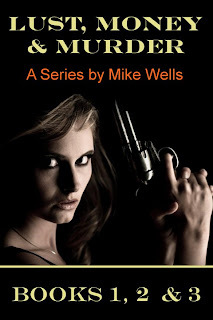 Such was the case after I’d become acquainted with novelist Mike Wells. We met through the miracle of social media and the rapport we developed was easy, comfortable. Talking with Mike I got the sense that his talent comes from deep within himself and like any true gift it must be expressed. The author of bestsellers like Wild Child, Baby Talk, and Lust, Money, & Murder, Mike has built a following for himself that is both loyal and devoted. A native of Nashville, Tennessee, Mike is married and currently resides in England, where he teaches creative writing at Oxford. He is someone who shares of himself and his work eagerly. His relationship with his fans and with other writers sets him apart from many in the pack because he truly cares about people and what they think. 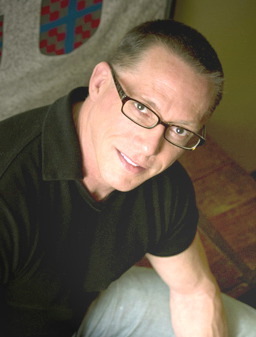 His books feature either teens or adults, depending on the story, and they appeal to a broad audience of readers. Mike’s work is riveting. Having read several of his books, which are available on the Amazon Kindle, iPad, and the Barnes and Noble Nook, I began planning to interview him almost a month before I actually asked him for the session. I just had to know what inspires him, what motivates him, and how he feels about his success. As I suspected, he didn’t disappoint me with his answers. I’m pleased to present Mike in this forum. CP: Welcome, Mike, and thanks for visiting with me. MW: Thank you, Carey! I appreciate the opportunity to be interviewed by you. CP: Tell me a bit about your writing process. What do you need to get into “author” mode? MW: Getting into mode can be hard for me. I can't write well until a particular story "grabs" me and starts pulling me forward, rather than me pushing it. Usually at the beginning, the story requires a lot of pushing. What I've found is that each novel requires a slightly different "voice," or style of telling the story—attitude, etc. Sometimes it takes a while to find that voice and that's when I stay in "push" mode. Once I find the right voice the story pulls me to the computer each morning and the whole process becomes fun and relatively easy. CP: You’ve had some very popular titles and a great deal of success. To what do you attribute the positive reception your work has garnered? MW: Well, I suppose it's simply the result of a lot of hard work, taking what little talent I have and developing the hell out of it. I spent a lot of time learning the craft, something that I think every writer should do—taking classes, reading books, getting feedback from experts (writing teachers and coaches). 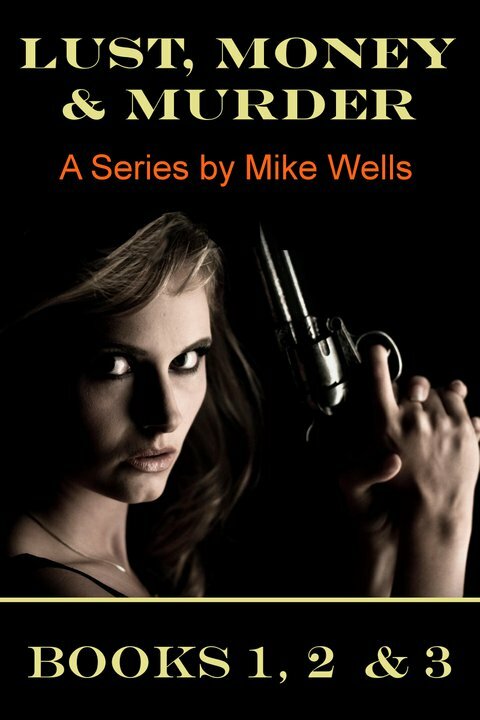 I think another element is that I started out a as a screenwriter, and many of today's readers seem to like fast-paced stories that are not too heavily-laden with description, which is my writing style. CP: You write both adult novels and books for young adults, and your YA titles are usually as popular with adults as they are with teens. Why do you think the appeal is often broad in this manner? MW: This is probably because I don't ever think about who my books are "for" in terms of the age of the reader--I just write the best story I can and then let it find its audience. When I first started out, agents would say, "Who is this book for?" and I would say, "It's for people who like reading." "Yes, but which readers?" they would say. They would eventually classify Wild Child or The Mysterious Disappearance of Kurt Kramer as Young Adult. Why? Simply because the main characters in these books are in their late teens. Agents and publishers are so interested in this because retailers need to know which shelf to put the book on. But this is artificial, something that's placed on top of a story, so to speak. I don't think this kind of categorization comes from writers very often. At least not from me. MW: That's a hard question, Carey, and as a fiction writer, I think you well know it! For me, I'd have to say it comes from a feeling of wanting to improve upon the story I wrote last time, a deep desire to master the art and craft of fiction writing. But of course art is not something anyone can ever master, you can simply improve—true perfection can never be achieved. CP: When you wrote Wild Child, what was the goal you had in mind for the reader? MW: My goal is always to entertain readers and hopefully move them in an emotional and perhaps intellectual way. But I actually don't think much about the final or overall impact on the reader—I think that's unconscious and something I can't really control. CP: When Wild Child became a #1 e-book, were you surprised at that level of success? MW: I was flabbergasted. I was not prepared for those thousands of downloads! CP: How do you go back and forth between the adult and young adult genres with such ease? MW: Again, I think it's because "genres" do not really enter my mind while I'm writing. 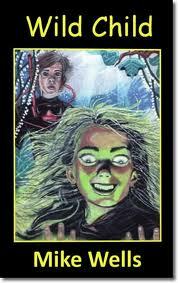 I never visualized only young people reading Wild Child, or only women reading Secrets of the Elusive Lover. CP: When you do a project like Baby Talk, are you aiming for the jugular with your plot or do you let the story take you where you want to go? MW: I would say that that's a combination of both. In purely creative mode, I let the story take me where it wants to go, but then when I'm done with a draft I put on my Editor hat and shape the story a bit, like pruning a tree, to give it a smooth form. CP: You teach creative writing at Oxford. What led you to England? And do you see yourself remaining there or would you like to return to the US at some point? MW: I've been living all over Europe for the past 15 years. I don't think I'll ever move back to the USA full time—I like being close to so many different cultures, it's very stimulating for my writing. CP: You and I have talked about how we both admired the late bestselling author Sidney Sheldon. Do you feel his influence when you’re writing? MW: Sidney Sheldon is very interesting to me. In some ways I would say his writing influenced me, but the fact is, our styles were similar to begin with. I didn't read any of his work until I had written some screenplays and a few novels. After a few pages, I remember saying to my wife, "Hey, this guy writes a lot like I do!" Then when I read his bio and found out he had first been a screenwriter and then switched to novel-writing, I realized at least part of the reason why. Readers often notice this, particularly about Lust, Money & Murder, due to the genre and the fact that I feature a young woman as a hero. CP: Share a bit about what you’re currently working on. CP: Okay…A few nosy things for the fans: What do you enjoy most about living in England? MW: The thing I enjoy most about living in England is the history and culture, everything is so old compared to the US. Last year we lived in a 500 year old farmhouse that still had most of its original furniture. It's pretty amazing when you think about it--that house was built only a few years after Columbus sailed to America! In the USA, such a house would be a national museum. You would have to pay to get inside with its rooms cordoned off, you wouldn't be allowed to touch anything. Yet we were living in this house and using all the furniture. There are places like this everywhere in England, it's all very interesting. CP: And conversely what do you like least about it? MW: Right now I'm not reading much of anything, I don't have time. I went through a period in my 30's where I read voluminous amounts of literature, all the classics, tons of popular fiction, but now I just don't have any time for it. Between writing my own books and promoting them, and teaching classes, there's just no time left. MW: Italian. I mean real Italian, as in going to Italy, which we do often. That's another great thing about England—you're so close to the rest of Europe. With the low budget airlines, you can be in Italy or Spain or France in two hours, for a hundred bucks. It's fantastic. MW: The Wizard of Oz. Probably it was one of the first movies I saw, at age three or something. It's the first movie I remember watching and I watched it every year when they showed it on TV until I was in my teens. MW: I enjoy all kinds of music and play some guitar myself, I come from a musical family and grew up in Nashville. When I'm writing I sometimes listen to really hard rock or jazz or pop, depending on my mood. I like to listen to classical when I'm in deep thought, plotting a book in my head. My wife took me to a Bach concert last night at the Sheldonian Theatre here in Oxford. When we came out, she said, "So, how did you like it?" I said, "It was great. I finished plotting Chapter Five." MW: I'm definitely a beach bum. I have spent more time than I care to mention hanging on beaches in Aruba, Cyprus and the Canary Islands. I do my best writing there, too. MW: Follow your dreams. Life becomes dull otherwise.